Amidst lightning, occasional thunder, and rain sprinkles, the Green Girl ran with the Sole Runners this morning. Coach Steve started off the morning as usual with updates and advice. 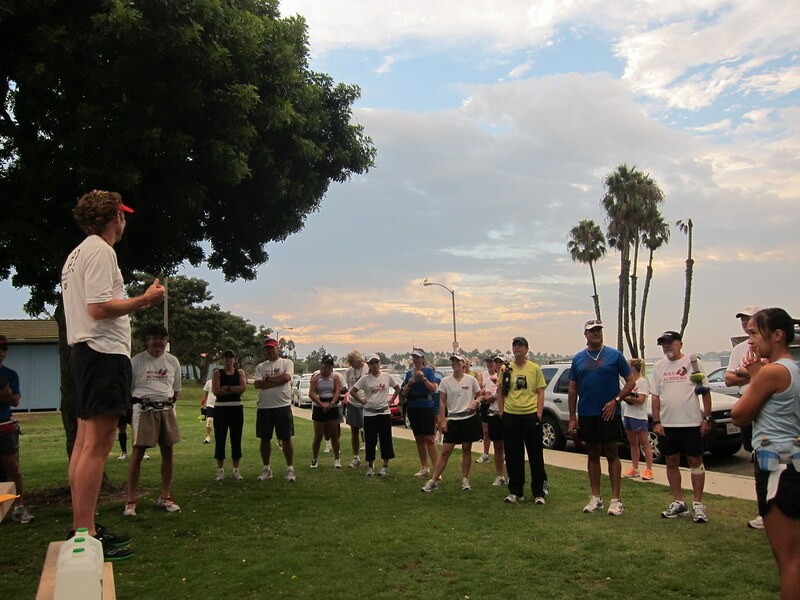 He reminded us all that the Sole Runners Long Beach Marathon Carbo Loading Dinner and Winter Season Kick Off will be on Thursday, October 14th at 6:30 PM at Buono's Pizza downtown. 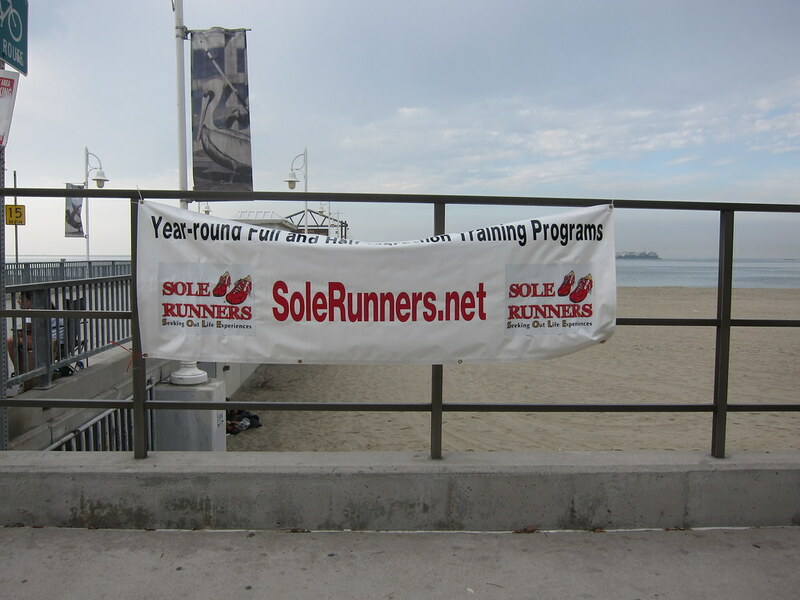 He encouraged us to invite our family and friends to join us and possibly become Sole Runners for the Winter season. As we started running, I was grateful for the cooler temperature but the air was muggy and I started sweating right away. 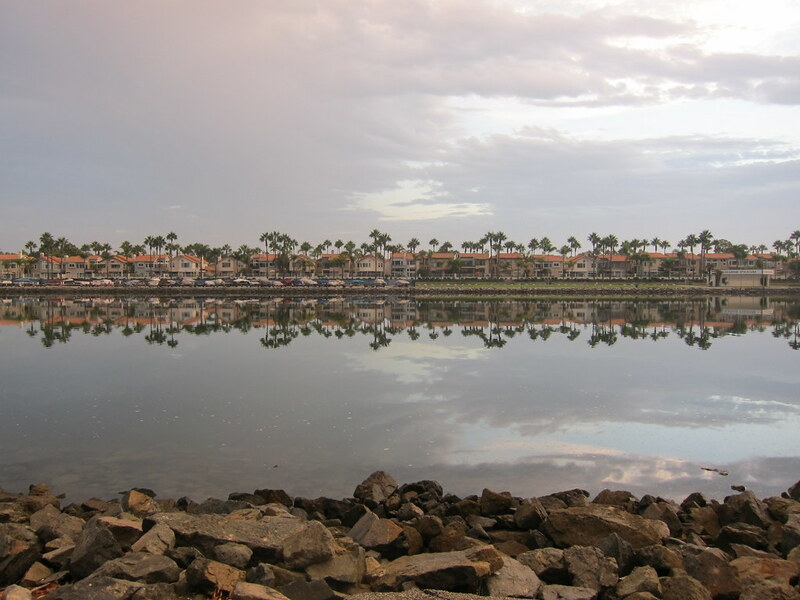 The morning clouds cast shadows on the Marine Stadium water. I intentionally left my patellar strap at home because I wanted to focus on straightening my left leg. The inside of my knee started to hurt a couple of miles in but I concentrated really hard and tried to invoke my muscle memory. Luckily, I was able to make the pain go away in less than a minute. 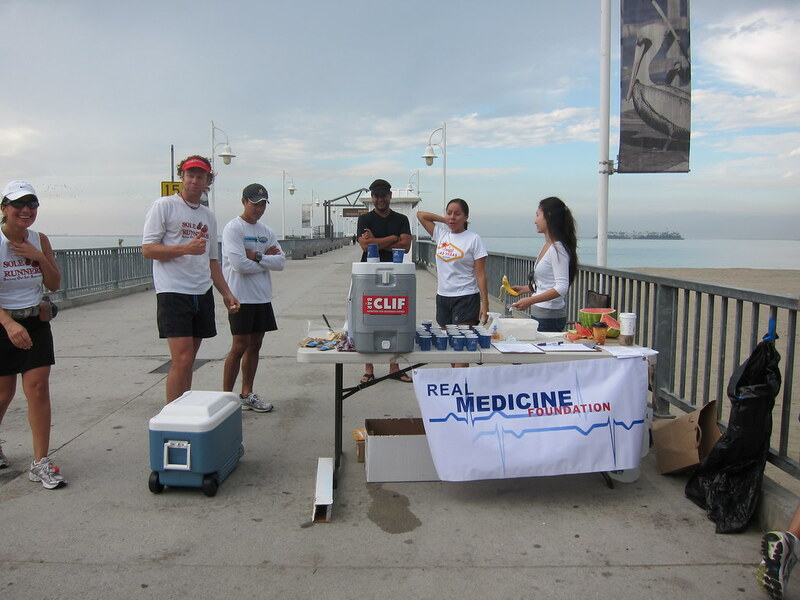 After the Sole Runners First Annual Charity Meet-n-Greet, the Real Medicine Foundation sponsored an aid station along the course today. I was so excited to see watermelon slices that I accidentally inhaled a seed. It got stuck in my throat and caused me to violently cough involuntarily. In the process, I managed to spit on three other Sole Runners. They all looked at me in shock and I had to apologize for expectorating on them. Despite the awkward watermelon seed incident, I had a really good run today. My body felt good and my foot didn't bother me at all. Glad you had a great run...the watermelon story is pretty funny. Bet you got some funny looks on that. Great job Mary, Greece will be here in no time and you'll be more then ready!!! That's such a funny image, although at the time, I'm sure you were mortified! Man. We're getting close to a trip aren't we? Just a few weeks away? Sounds like a good run. Funny but serious moment with the seed! I'm very careful about running with lightning and thunder around. Maybe I should not be laughing but in my mind that must have been a very funny scene. Watermelon shower. Glad to hear your leg pain is manageable. I had a horrendous choking spell today too. yay for no foot pain! Must be in the air... after coaching sailing, I inhaled a tiny bit of a frito chip. Coughed so hard I peed. I just love getting old.